Beer (and cider) and pizza(gluten free available) and music(lead singer looks like one of the beatles) what could be better? As a plus their gf pizza is one of the best I have had! My favorite spot while visiting Austin! 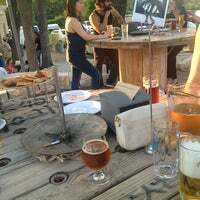 Awesome beer, delicious pizza, friendly staff, great outdoor hang out area and even live music some nights! I liked sitting at the bar. 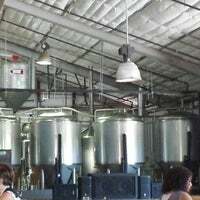 Had red wine & they let me sample lots of beer. Had s slice of margarita pizza & the pepperoni was my favorite. Great staff. Very friendly & helpful. gluten free pizza & cider for those of us who want to party but cant consume gluten. Parking is terrible, park on the street just east and don't yell like an A Hole because it's a residential area! 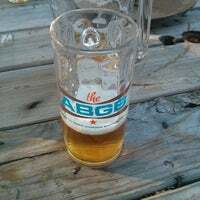 If you're looking for a good thin pie with spacious indoors and outdoor seating, a slight grunge vibe, and over a dozen beers on tap, AGBG is the place. Not a beer connoisseur so I'll leave that to the pros. Stuffed peppadew and meat and cheese plate were awesome. Italian sub, bruschetta, and mushroom were alright. 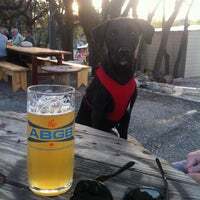 ABGB is super dog friendly so bring your pal along for some tail-waggin' good times. 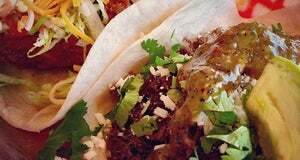 5 stars from the gang at HomeStyleAustin.com ~ We'll be back! I love the selection of craft beers and pizzas. The margharite pizza tasted great! One of my new fav places for pizza. Awesome vibe! Best deal in the House is the Basic combo: Pitcher (Day Trip), 16" pizza (Calabrese!) and a salad (Caesar). I always get the initials wrong...lol! 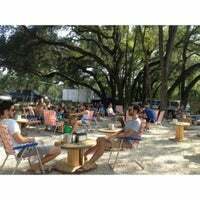 This is a great place to hang out with friends and enjoy their company and an ice cold beer! Try a flight. Best way to get a taste of all their beers...before you choose your favorite and drink more, of course. 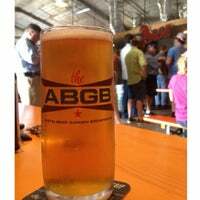 The only question is, why *haven't* you been to The ABGB yet? 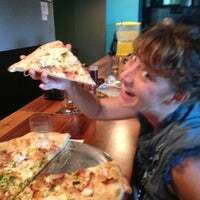 Unbelievably good pizzas, and an outstanding selection of rotating beer, all brewed in-house. Do yourself a favor. You'll thank me later! The beer is ok, but it's always nice to have housemade beer with solid food in a cool environment. Get the Muffuletta! Hater comments are completely wrong. 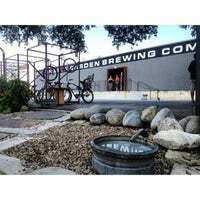 This place has some of the best beer crafted in Austin. The food is also made from the best people in their respective trades. 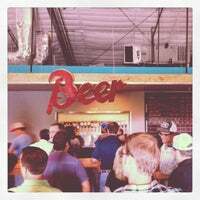 Awesome atmosphere, awesome food, even better beer. A perfect neighborhood spot. The pizza is excellent, and their selection of craft beers is impressive. 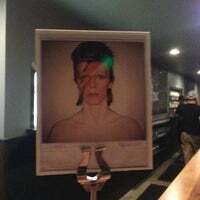 They have a nice atmosphere, and good live music. Atmosphere was awesome. Food was great, The Beer was AWESOME! I had the Day Trip. Ready to go back and get more !! Incredibly high food prices, counterbalanced by great beer. $4 for a salty near baconless deviled egg with bacon? Try again. Get one of the seasonal beers. 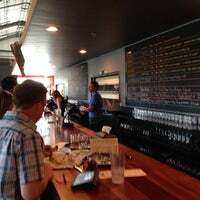 Everything here on tap is great, the pours are tall and easy on the pocketbook. Good vibes, good pizza, good beer. What’s not to love? 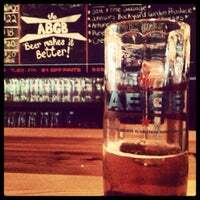 Good beer, good happy hour. When it gets reallllly busy though, the wait for pizza is like an hour. The food looks good; never had any. Great music. Beer selection is lacking. They never have anything I like such as fruit wheats or Hefeweizens. Cool spot with lots of outdoor seating and live music. Kind of expensive, decent pizza, good beer. The cypress salad is the best EVER!!!! Get the one with meat! Great food and beer. Nice outdoor seating. Dog friendly, kid friendly(ish). Aspall English dry draft cider was excellent! Nothing spectacular: mostly just popular because it's not downtown and has plenty of outdoor seating. The pizza and their beers are tasty enough, but avoid the sandwiches. Love this place for happy hour. Good beer, great pizza! People at the bar are not very customer friendly. Food is pretty good, but don't ask for anything except what is exactly on the menu. Beer is good, though. Calabrese pizza is extremely good, solid beers (brewed on sight). Great local beers. Excellent pizza. Beer is good, but restaurant part leaves a bit to be desired. No modifications or substitutions makes it difficult for those with dietary restrictions to eat here. 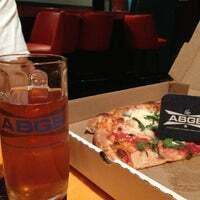 Grab some friends, share some pizzas, and enjoy a few pitchers of ABGB brewed beers. Olive tapenade pizza if you're hungry, good priced beer if you're not. The beer, the pizza, it's all good. Earth Day is a great day for beer. 5% of your check will go to support eco-friendly causes. Great entertainment and a tasty beer selection. 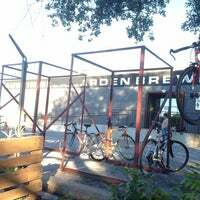 "Great place to sit outside and enjoy some beers. Highly recommend anything by Real Ale Brewery. Great spot for live music too, very impressed!" "Fried chicken sausage was fantastic! Lots of draft beer, michelada bar, and live music! Hint hint.. the long tables inside the bar area are open seating. Just order food / drink at the bar!" "German Burger and Reuben Sandwich with a pint of Franziskaner, delicious!" "I love the sliders & sweet potato fries, the taters were delicious too"
"Comfortable interior, with an elevated balcony, good variety of cocktails with a specialization in tequila. A little pricy though"
"If you order an entree, try the collard greens for a side. They are amazing. Dynamic flavor! 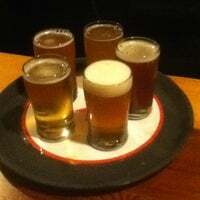 Wash it down with their big selection of local draft beers."